Stop in and see me, and the other amazing artist spaces, during the Ashland Open Studio Tour from 11AM-5PM this Saturday and Sunday. 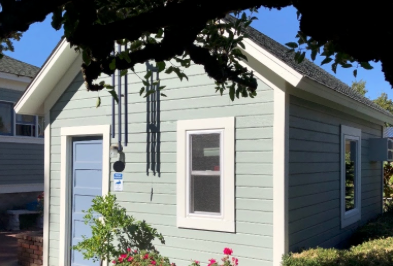 I will be painting, chatting with visitors, and showing off my mini studio remodel which reclaimed a storage space to make room for my expanded bunny family. Yes, I am a frequent foster failure and now share my space with five lagomorphs! Original artwork, prints, cards and Kat’s and my book “Love Rhymes with Everything; animal ruminations through poetry and paintings” will be available for purchase with all proceeds benefitting Sanctuary One. Maps of all artist locations are available online and at all Ashland galleries. This event is free to the public and a fun way to spend the day – even if you just visit a couple studios.If you complete an attendance card and leave it at the last studio you visit, you will be entered to win a raffle for 2 free tickets to A Taste of Ashland in the spring or $100 off local art! 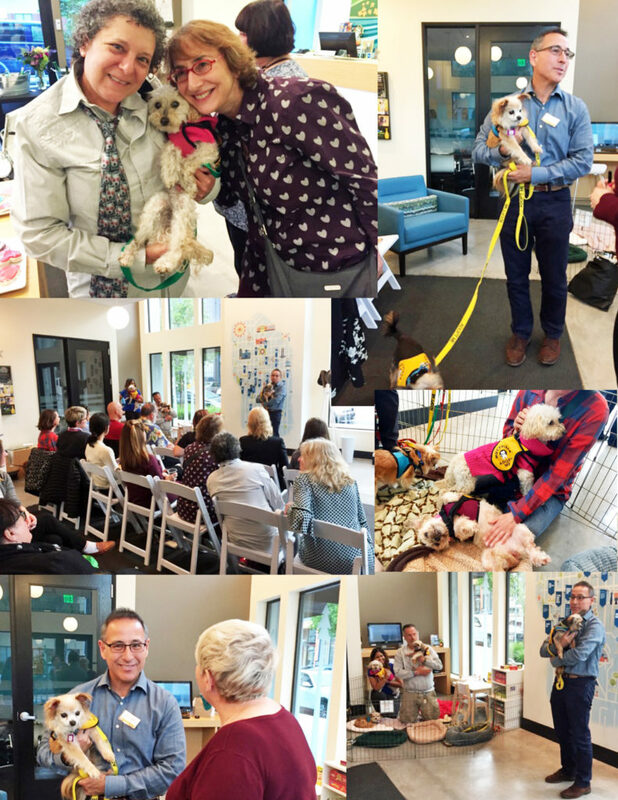 We have photos from our book event last week, thanks to Midge Raymond who came prepared to take lots of photos, while also helping us manage the book sales process! 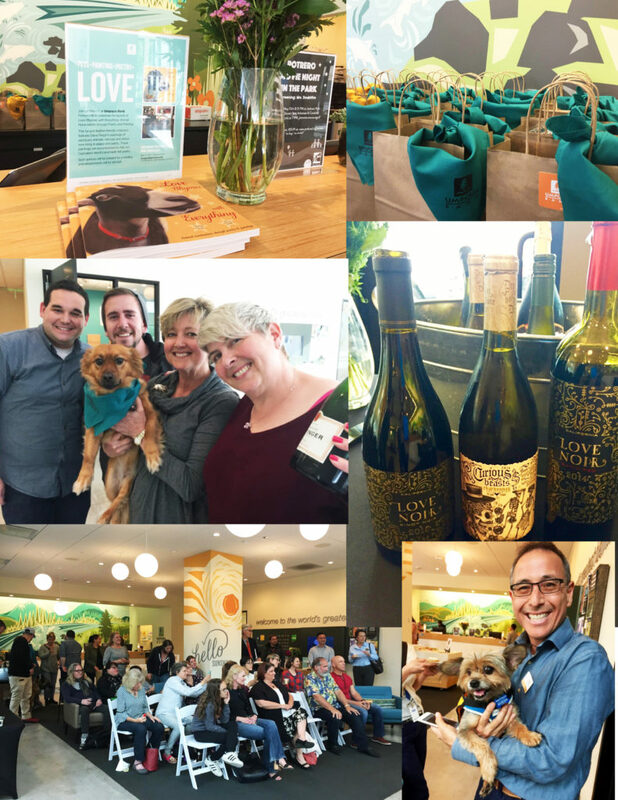 We had a full house at Umpqua Bank Potrero Hill, and sold 59 books, with all proceeds (over $650) benefitting Muttville Senior Dog Rescue. A big thanks to Kimberly Floren for arranging the event and creating swag bags for all our attendees! Muttville even brought several dogs who are looking for new families. What a wonderful organization! Find out more about their work, and see their available dogs at http://www.muttville.org. Thank you Main Street Vegan for sharing this Q & A with Kat von Cupcake and me, by Midge Raymond! Click on the image above to access my January newsletter.